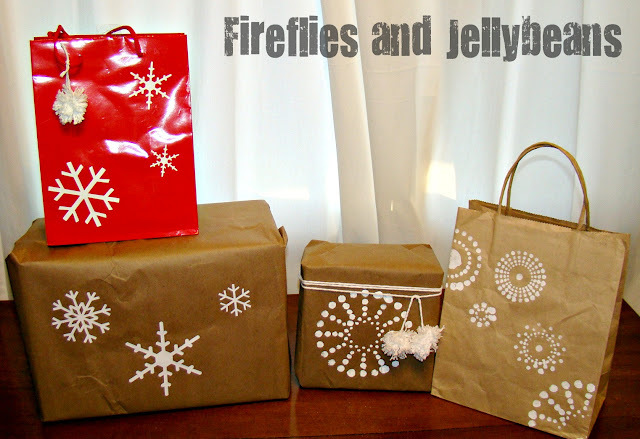 Ready to wrap Christmas gifts? I LOVE to make mine all cute and unique. It is relaxing to me. 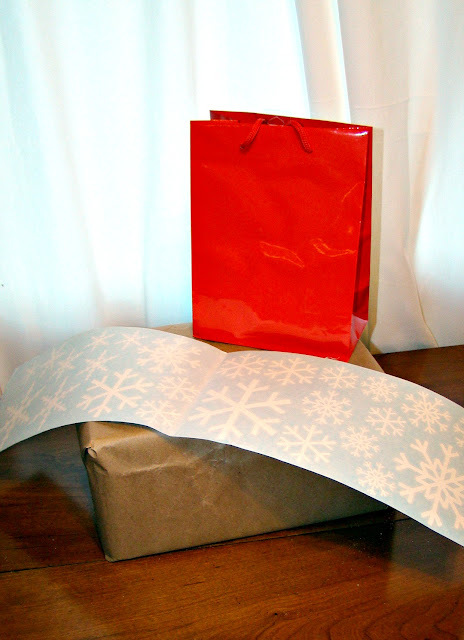 Here are some Easy ways to personalize you gift wrap without breaking the back. 2. 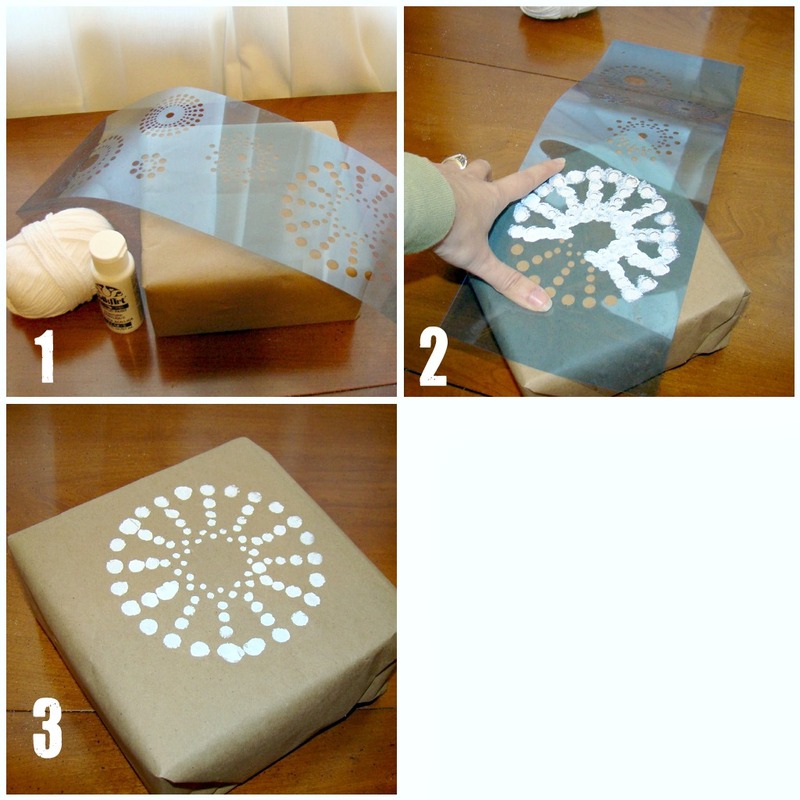 Wrap your gift in a plain colored paper. I used brown Kraft paper (that came as packaging in on of my boxes) Place your stencile and dab (up and down movement) the white paint on the stencil. 1. 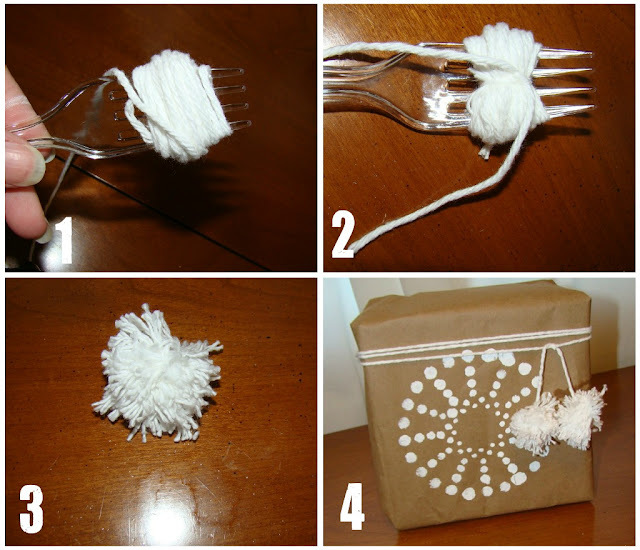 Wrap yarn around a fork several times. 2. Tie around the middle with another piece of yarn. Make sure your knot is tite and double knot it. 3. Cut the loops on both sides and smash into a pom-pom. 4. Add to your gift. 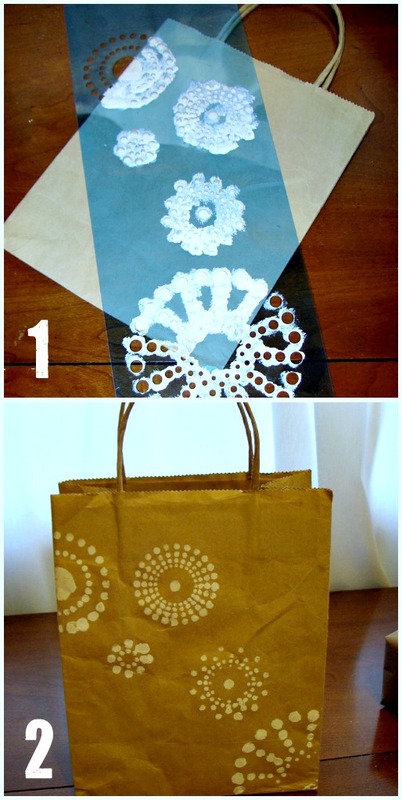 You can also embellish a gift bag too! Cut your snowflakes apart and arrange on your gift. Peel off the transfer paper and you are done! It looks great on a gift bag too and also feel free to add a pom-pom to this one too! Who is ready for Christmas? !